Are you looking for someone to clean your crawl space in your home? At Sunny Carpet and Duct cleaning, we do much more than just cleaning your ducts and furnace. We also clean those hard to reach areas and offer services that most other companies do not. 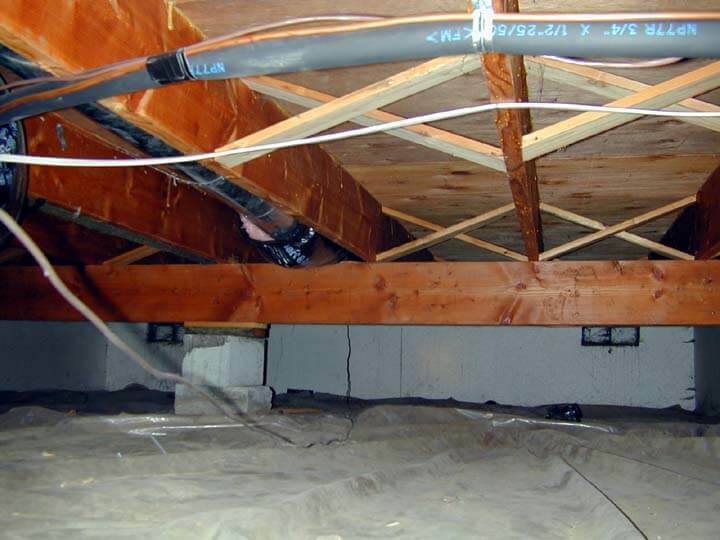 Why clean your crawl space? Furnaces are usually placed in or near the crawl space, meaning that the air that gets forced through your home most often emanates from the crawl space area. Dust is a major culprit of health issues associated with modern house design and can cause dust allergies, asthma, as well as being an unpleasant odour. First, we seal all openings to ensure an optimum seal. We then set up our furnace duct cleaning truck and force all debris to that point. We use highly compressed air, 200 psi, to force all debris towards the vacuum, starting at the farthest point. We then systematically work to force air over every surface, crawling through the space. Lastly, we fog sanitize the entire space to take care of the odour causing microbes. We take precautions to ensure that our workers are safe with the proper PPE, such as using masks, gloves, suits, and ear plugs. Our workers are trained in small space environments, with confinement area training. The work in pairs, and only spend 10-15 per time for each worker. We use cell phones to maintain contact. First aid kits are always on hand in our vehicles. We are insured, bonding and trained. Please call for a free estimate. We will make an appointment, at your convenience to estimate the actual space and provide a free written quotation. Upon acceptance, we will ensure that all steps are taken to provide a satisfactory result.